New for 2014, the Waterford Crystal Snowflake Wishes for Peace Mooncoin Christmas Ornament is a clear crystal ornament featuring the 2014 Waterford Snowflake design and a warm amber crystal center. The Snowflake Wishes for Peace Ornament is the 4th of ten editions of the Waterford Snowflake Wishes Ornaments and is part of the 2014 Snowflake Wishes for Peace Collection. 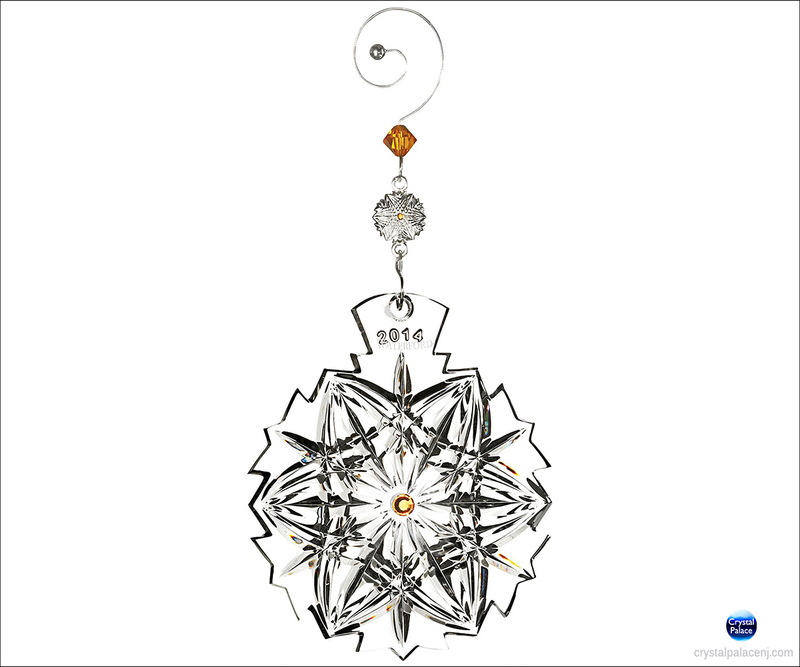 The 2014 Waterford Snowflake Wishes Ornament includes a jeweled ornament enhancer and silver charm. Elegantly packaged in a silver Waterford Snowflake Wishes Ornament box - perfect for gift giving and storage.